As part of the Schooner Bay complex, guests of #105 will enjoy all the amenities the complex has to offer. There is a large pool available for use, as well as a Jacuzzi and exercise gym. Schooner Bay is also ideally situated on the water, with direct beach access. The apartment itself features one bedroom and two bathrooms. A full kitchen and living area round out the apartment, and there is a private balcony with comfortable seating for outdoor relaxation. 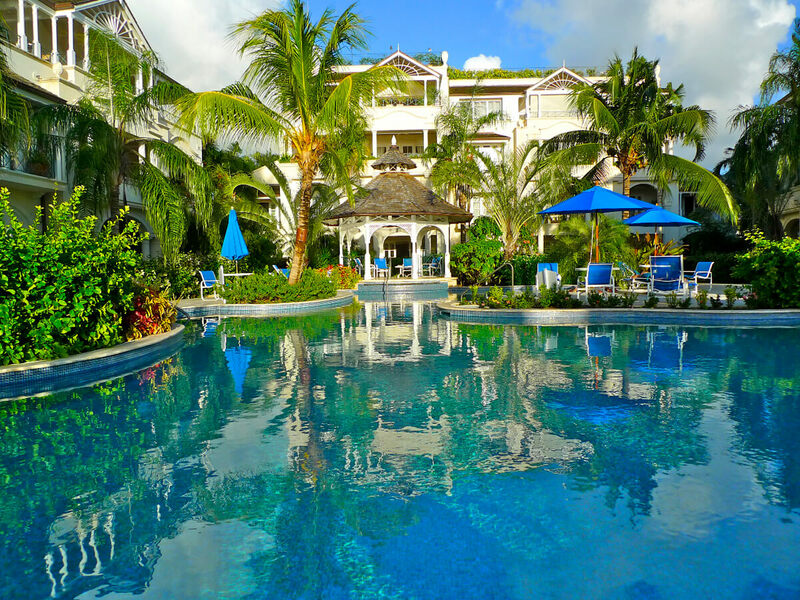 Guests can also walk to nearby Speightstown, or to Cobblers Cove Hotel where there is a bar, restaurant, and water sports. Schooner Bay #105 is a one-bedroom, two bathroom apartment. A range of activities can be enjoyed while staying at Schooner Bay, including exercising in the gym, relaxing in the Jacuzzi, swimming in the communal pool, or taking a dip in the Caribbean Sea. Water sports are also available at Cobblers Cove Hotel (just a short walk across the beach) where there’s also a bar and restaurant. The poolside and beach are equipped with sun beds exclusively for Schooner Bay use and beach towels are provided. Speightstown, a town rich in culture, is a 5-minute walk from Schooner Bay where there are shops, banks, and restaurants. Special rates apply to the Christmas/New Year period. A Cook can be arranged for an additional charge.